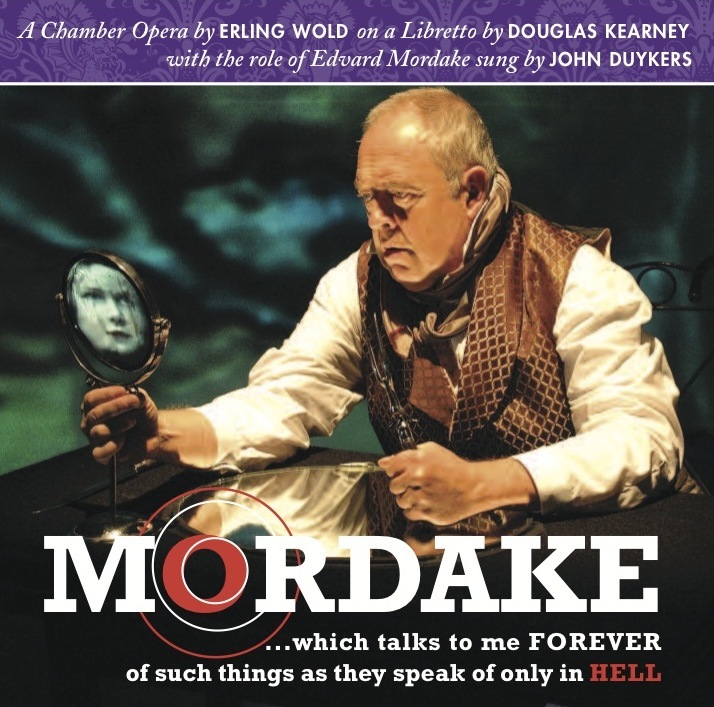 The opera tells the story of young Edvard Mordake, a man of high birth, secreted away in his apartments due to his disfigurement: a woman's face on the back of his head, whose constant imprecations, heard by him alone, lead him on a terrifying course of action, one that may result in his own destruction. The librettist of the opera is the remarkable Douglas Kearney, a teacher of African American poetry, opera and myth at CalArts, well known for his recent performance work with Anne LeBaron. As the twilight fades, Edvard Mordake, the man with two faces turned away from each other, enters a night world where he plays a multiplicity of roles and is visited by a diversity of phantoms. It is a world that is familiar to him; he's been through such quarrels many times before: Her mocking entreaties, her counsel, his angry remonstrations. But tonight is different, a night of particular violence and horror, where both, pointing one finger forward and three fingers back, accuse and threaten. He cries that he is no murderer, but he is reflecting on the foul murders of his past and ruminating on those yet to come. After Sub Pontio Pilato, John asked me to write a solo opera for him and his bella voce. I suggested the Mordake story, one that had been bouncing around in my head ever since I read it in Re/Search magazine in my graduate school days, sitting with Mark Dippé and imagining all the bad things we would do if we had half a chance. John and Melissa brought in Douglas Kearney to write the libretto and he and I hit it off, having the same literate interests, especially along the fringes of genre and in the freely spun modern mythologies of the pop graphic novel. After forty years wandering, from the first sketches through an enormous epic trilogy spanning the past, present and future of the eternal battle between Minerva and the Chimera, we dusted ourselves off, put our affairs in order, and leveled an intense parrot-like stare at Mr. Mordake, his life, his relations with his other self, the universality of this tale of dichotomy and repression. I worked on the music, following our trek through the desert, hoping that the land of milk and honey would hove itself into view but alas, we ourselves needed to perspire and do the heavy lifting. I orchestrated a bit of the music and wheedled performances out of the San Francisco Composers Chamber Orchestra, the recordings of which became grist for the eventual all-electronic score, combining straight synthetic passages with some less so, some processing of the orchestra recordings (which were played with tape samples of other orchestra recordings originally, a hall-of-mirrors moment that warmed my heart), as well as bits of historical opera and soundscapes from Thom Blum's enormous collection, developed through who knows what magical and modern digressions. And the Korporate Marionettes permitted me to use our gender-bending processing to produce the voice of Brigit. Scores etc are on the works page here. Supported in part by Grants for the Arts, the Argosy Foundation, the San Francisco Arts Commission, the San Francisco International Arts Festival, the American Composers Forum.